You know how we humans like to shoot the messenger when they bring bad news? Well, I feel like I should be treated to a ticker tape parade and my choice of wives. Because here’s the latest dispatch – our investment garden is looking very rosy right now. Last quarter was good, and things have only gotten better thanks to Trump, Brexit, Hawaiian pig farmers, or your own rationale du jour. Every asset class is higher. 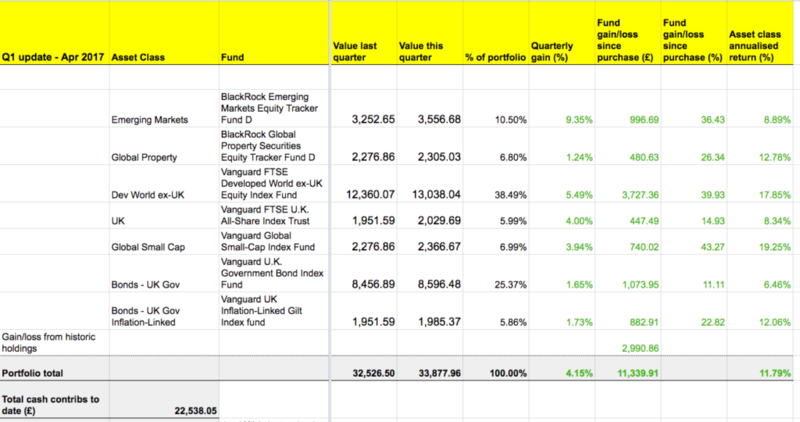 The portfolio has put on over 4% in three months and a staggering 11.8% on an annualised basis. That’s well above historical averages. The FTSE All-Share has managed 9.8% over the same period. So that’s another one-up for globally diversified passive portfolios. The Slow and Steady portfolio is Monevator’s model passive investing portfolio. It was set up at the start of 2011 with £3,000. An extra £900 is invested every quarter into a diversified set of index funds, heavily tilted towards equities. You can read the origin story and catch up on all the previous passive portfolio posts. Wait a second – is everything going a bit too well? Shouldn’t we do something? Y’ know, tweak a few knobs to keep the pace up, bob and weave to evade onrushing disasters? The chart hurts my eyes, but it also shows the annual asset class winners and losers over the last decade. Each asset class is colour-coded, so you can quickly feast on the patterns that emerge. Except they don’t. What we’ve got is a violent patchwork quilt that even grandma would burn because the pattern is about as meaningful as Snakes & Ladders. For instance, emerging markets topped last year’s table. Up from bottom place the year before, and in 2013, and in 2011. Yet that period in the dumpster came after taking the top spot three times out of four from 2007 to 2010. Though the same asset class took the wooden spoon in 2008. It all tells you more about the volatility of emerging markets than anything else. Be prepared for a wild ride. North American equities haven’t been out of the top three for the last four years – hence the current frothy valuations – but they registered six years of mostly mid-table mediocrity before that. Reversion to the mean then? Interestingly, global equities have managed a top half performance in every year bar two. Diversification is looking pretty sound again. Take that brain. The clash of colours on this table is nothing more than the flashing reels of the world’s most complicated casino. Nobody can predict the winners with any long-term consistency. And the Irrelevant Investor blog has this brilliant chart on how today’s US bull market stacks up against its predecessors. If history is any guide then today’s US bull market could have a long way to run. Of course it might not, but you could give up a lot of upside by swinging away now. I don’t bet against America, although I accept that the future returns of a highly valued market are unlikely to be as lucrative as a cheap market in the long term. If you simply must do something, take a look at over-balancing. In the meantime, I’m going to stay out of the fiddling game and let the chips fall where they may. We’re nicely diversified. Something’s gotta be the loser but for now let’s just enjoy the fact that everything is coming up, er, trumps. Every quarter we grease the market’s palm with another £900. Our cash is divided between our seven funds according to our asset allocation. Take a look at our online broker table for other good platform options. Look at flat fee brokers if your ISA portfolio is worth substantially more than £25,000. @BU – did a bit of digging, is this relevant/of use? @The Rhino. Thank you. It is useful yes. This portfolio was recently criticised on MSE for being non steady and high volatility. Do you have some comparison/evidence that demonstrates its “steadiness”? Perhaps that evidence is more about the asset mix (efficient frontiers?) that is being tracked than a comparison versus other portfolios? How does one address views from some IFAs on such boards that portfolios like slow and steady, and VLS, are “easy to beat”? With what I’ve read on monevator this sounds like mis-selling, but still IFAs are allowed to suggest they know how to beat passive portfolios, it seems incongruous to the I in IFA. @MSEReader — Hello! I suppose we could work out / graph the volatility and whatnot from the quarterly updates, but that’s not really the meaning of the title. I suspect our idea of ‘Slow and Steady’ is on a different time horizon to the critic’s. If we only updated annually, that would be clearer. If we only updated every five years it would be clearer still! In my view, even these days with the very welcome introduction of the likes of Vanguard LifeStrategy that make things so easy, the average aspirant wealthy person who is saving a decent 10-20% of their salary’s non-property asset mix likely consists of either too much cash, or too much in random expensive UK actively managed equity funds, or in some hodgepodge of directly owned shares, maybe too much UK residential property exposure (BTL etc) plus a pension where they don’t even know how it’s invested. People who aren’t like that and are reading Monevator — or MSE for that matter — are not even a large minority. It’s useful too to think of the counter-factuals — in a dotcom crash or even a 2008, this portfolio isn’t going to blow up (though it would certainly decline sharply). In a situation like the currency devaluation we’ve had, it’s going to capture some of that versus someone who was just sitting in cash in ISAs / P2P. In a theoretical UK house price crash that blows up BTL, it will keep chugging along. And so on. i.e. The idea of the S&S is to just show how a simple collected of cheap tracker funds can get the job done over 20 years for nearly everyone. It’s not claiming to be magic. It has plenty of equity risk, and despite the bonds it will be volatile for sure. Nearly nine out of ten UK active equity funds underperformed their benchmark over one year. The exact number is 87.22%, which represents a four-fold increase on 2015. UK active funds have also fared poorly over longer periods, with 61.64% of funds underperforming over three years, 50.0% over five years and 74.19% over ten. Average UK active equity fund performance also lagged the benchmark over the calendar year, with active funds delivering an average annual return of 11.15%, which is 5.95% less than the S&P United Kingdom BMI over the same period. Those stats do not preclude some people outperforming. It can be done. It’s just not likely for the averagely lucky person. If someone wants to try their hand, be my guest (I personally do pick stocks, unlike my co-blogger who wrote this article). Take honest records, and after 10 years you’ll know if it was worth the time and extra risk. Of course that’s 10 years you can’t get back to compound your wealth, if it turns out you’re not in the lucky / skilled minority. Most people needn’t take this risk. Unlike many who urge the average person to invest passively, I fully understand the attraction of the alternative approach. But it has a seductive quality to it in the worst sense of that word. 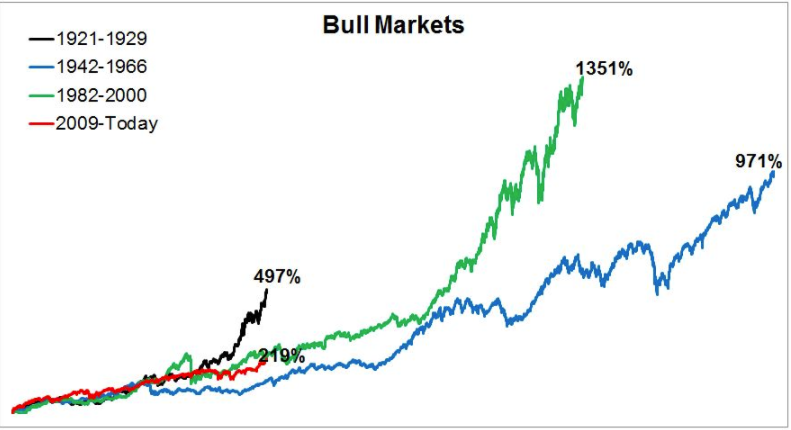 It’s not even just that I believe most people will fail to beat the market return. I don’t even think most people have the knowledge / interest in tracking / intellectual honesty to know whether they beat the market or not. In short, investing geniuses are two a penny on the Internet, and yet for some reason most very highly paid fund managers fail to beat the market over the medium to long term. That is a wonderful response. Thank you for taking the time to consider, mucho appreciation (no pun intended). @The Investor – thank you very much for that response. 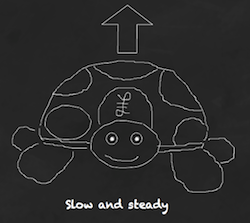 What Slow & Steady does lay bare, completely anatomically, what your portfolio is and how it performs each quarter. You show it’s nuts and bolts for the world to see and criticise. Compare that to random posters on chat boards. They insist they do better. They talk down VLS/Slow & Steady. But they never tell you what their master plan is. Never reveal their hand. There is is only one person I have read on one message board I frequent who was as honest about his portfolio as you are with Slow & Steady. He didn’t pretend to be an expert, I must point out. He was humble about his learning process. But he did say that had he made the opposite choices to all the choices he had made as an active investor that he probably would have made more money! I suspect that kind of honesty, and clarity is often lacking with a lot of active investors, whom I personally suspect are not doing quite as well as they’d have you believe. (But I/we will never know if this is true as they will never reveal their portfolio). @ BU – yes, long bonds historically perform somewhat better during a crisis than short or medium bonds. However, given where interest rates are, you’re taking on a huge risk with long bonds for a relatively small upside. Medium bonds will also perform well in a crisis and be less exposed if rates rise. It’s about the balance of risks. The long bond portions of the portfolios you mention have benefitted greatly from the fall in interest rates over the last 30 years which did wonders for their returns. @ Percy – theoretically 100% equities can be *expected* to outperform 80:20 or 60:40 or any other combo of equities and bonds. That doesn’t mean it will. If equities tank for the next 20 years then you’d regret your lack of diversification. If you miscalculated your risk tolerance and couldn’t handle a 100% equity portfolio in the midst of a massive crisis then you’d regret it even more. @ John – you can buy less than one unit of a fund but not ETFs. @ John Campbell – I couldn’t work out from your comment what’s really troubling you about your bond allocation. How many years out are you from deaccumulating? Main thing is match your bond funds duration with your time horizon. Use short-term bond funds rather than medium or long if you’re worried about inflation, interest rate rises or have a short time horizon. Don’t get into corporate bonds. @ Louis – as The Investor mentioned the S&S portfolio predates total world equity trackers. All the same, you may well find it hard to find a total world tracker that adequately represents emerging markets. You may also decide you want to up your exposure to risk factors like small cap. If you want convenience and simplicity and to head off the desire to meddle like a crazy chimp then definitely plump for the total world tracker. @ Alex P – the same goes for why you might decide to run your own set of funds versus the Global All-Cap tracker. The BlackRock Emerging Market tracker got the nod purely because it was cheaper. 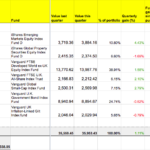 The S&S portfolio is funds only so VFEM wouldn’t be in the frame as it’s an ETF. Not that I have a problem with ETFs. It’s just funds keep things slightly simpler. Well done on offing your wealth manager and thank for the calculator link – looks useful. @ The Cardinal – The charges I listed are available with most platforms. I could only find BlackRock EM tracker A & H on Hargreaves and your link gave me a page not found. Anyway, If you’re on Hargreaves and likely to stay there for a long while then use the H class. Hargreaves convinced BlackRock to give them a slightly cheaper version of the same fund. Are VLS bonds short, medium or long term? What I’m asking is: are they likely to take a hit when interest rates go up? My mortgage is linked to BoE interest rates, and so I don’t want to take a double hit when interest rates start going up. Looks like they’re a mix. BOE interest rates aren’t the same as bond interest rates, btw, although they are linked. If rising interest rates meant the economy was booming then your equities might be doing so well that they’d compensate for a lacklustre performance from the bonds. On other hand, if rates are going up because inflation is out of control then general misery is nigh. 3 years left to accumulate until age 61, then stop working as present, no likely further contributions. Saving hard into it presently. Then drawdown hard until age 63 when modest db scheme starts, balance of sipp drawn down until SP at aged 66….any residual sipp a bonus after 66. Note i haven’t yet started to drain any of the sipp into cash either. It’s the high percentage of the UK gilt fund that bothers me …but possibly because of an irrational feeling as it’s such a high relative % for the UK Gilts. In respect of other comments on the LS funds…i’m using these currently purely as a learning exercise until i’ve got my own S&S variant at least half baked …and happy to run as a real not a notional proposition. Previous posts as hyperhypo ….i don’t know what possessed me to put my real name down last post but it was done before i realised i’d done it …no drink taken either.! Sorry if my question has an obvious answer but HL only allow me to invest a minimum of £100 into each separate fund in my SIPP. This makes rebalancing a nightmare, especially as I don’t want to sell and rebuy my portfolio every few months to achieve the right allocation. How important is it (within 1-2% maybe?) 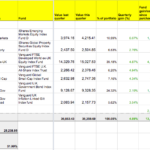 to hit the planned allocation in the portfolio? Thank you for your help and for helping me to understand how to invest for the future! So, you’ve 8 years before you intend to spend the entire SIPP down? Would you be able to delay selling the equity portion if there was a crash between now and then? That Vanguard bond fund has a duration of 12. Which means it will take approx 12 years to recover from any loss if interest rates rise. If I wanted bonds to be a source of stability between now and 8 years time then I’d go for a short-term gov bond fund / ETF. The duration will be about 3 which means it’d take the fund 3 years to recover a loss from an interest rate rise. Much less risky, and less vulnerable to inflation too as maturing bonds are sold more quickly for new higher yielding varieties. To get under duration 3 you’d mix with cash / money market funds. I wouldn’t use the linker fund – duration is 25 or so from memory. If you are very worried about inflation then you’d be better off creating a linker ladder from individual index-linked gilts. You could also do this with your nominal gilts to solve your duration problems but it will take some research. Effectively, you’d buy individual gilts through your broker that mature and can be spent between the ages of 61 and 66. It’s a one-time ladder that could also be achieved through savings accounts – though not in your SIPP. Hope that helps. Bonds are tricky. @TA , yep JC is my real name and i deserve my stall in the Monkey Market. And yes, i’m trying to set my sails for a “I’m most likely further down Cemetery Road than you are” version of the S&S. Thank you for taking trouble to consider this variant …. Your understanding of time pretty correct…8 years, first three years continue work / accumulate phase, next two years heavy drawdown have been covered by draining into cash , starting now, as this will be exclusive income for me. Final phase from start of db scheme until SP at 66. So yes , perhaps my fondness for the 50/50 Markowitz formula needs a bit more thought and perhaps a far more conservative tilt. And i believe i’ve been wrong in thinking that i can achieve this lifestyling the Vanguard LS funds (i.e combining VLS 60/40 or even VLS 40/20) as none of these appear to contain specifically short term bond funds. I’ve also done some reading on the Vanguard Target Retirement funds and again put off a bit as e.g. the 2025 variant appears tilted 70/30 towards equities at present , which seems a bit adventurous to me. or use a 40/60 version of the current S&S with its two bond funds replaced with short dated Gilts and cash. Could you explain why you changed the target allocations from previous versions of the portfolio?